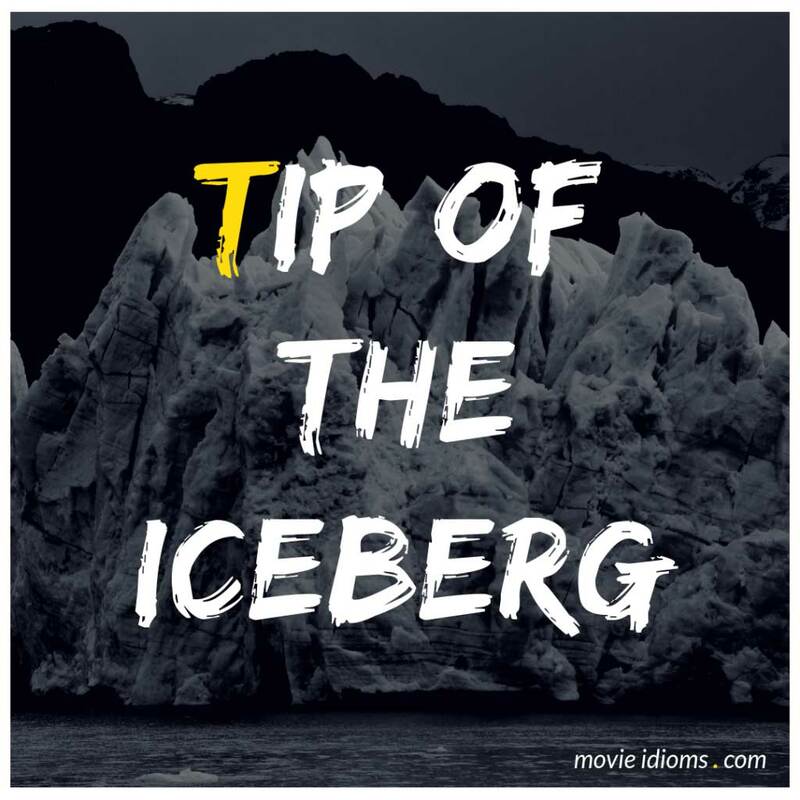 What does tip of the iceberg mean? Sonny: Listen to me, kid. If she doesn’t reach over and lift up that button so that you can get in, that means she’s a selfish broad and all you’re seeing is the tip of the iceberg. You dump her and you dump her fast. Brigadier General Glenn Talbot: Let’s face facts. You and your little band of misfits are hardly SHIELD. Our intel says you don’t have enough man power or artillery to take down a convenience store. So, I’m sorry, I’m gonna hafta to say no to that deal. Phil Coulson: I don’t know. I think we’re good on artillery. In case you get any ideas, General. That’s just the tip of the iceberg. Let’s get out of here before the iceberg runs out of fuel. Daisy: If we were rich and didn’t have to kill him, we could pay him just to make those cookies for us all the time. Violet: Hell, what if the cookies are just the tip of the iceberg? What if he makes brownies?